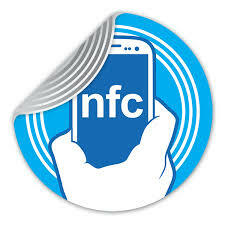 For those who are out of the know, Near Field Communications (NFC) is a mobile technology that communicates with a compatible device in close range by transferring data. This is the same technology that is used for contact-less payment. Now most mobile SIM cards are equipped with an NFC chip so that you can touch, tap or wave your device near the NFC and it will bring up what has been encoded. Your mobile marketing can advance onto a new level with a technology that will only get increasingly popular. Whatever your campaign’s aim, MediaHeads promise that your product’s design will be brand focused and responsive on all devices. In our initial consultation we shall discuss the best options for what you want to achieve, track the amount of times the NFC is scanned and create a report for how well it’s doing. The possibilities are endless. NFC don’t expire either. Your campaign can be locked in for as long as you need and when you’re onto the next one, we can change it for you. Handy when you’ve had a recent batch of business cards you don’t want to throw straight into the rubbish bin. Why waver? Contact MediaHeads today via Email: enquiries@mediaheads.co.uk or give us a call on 03333 44 77 55 to discuss our NFC Marketing packages.